You can now find my eggs at Village Treasures in Fair Oaks Village. This eclectic shop combines jewelry services with interesting art, and fine olive oils, chocolate and honey. 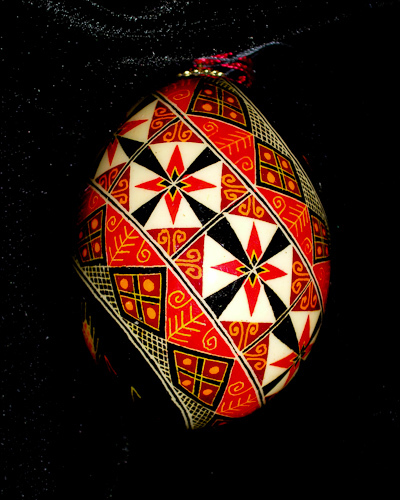 The owner, Dimitri Grekoff, is quite familiar not only with the art of pysanky but also with its cultural heritage. Besides that, he’s just fun to talk with, so if you’re looking for a field trip as we head into fall, wander over to Old Fair Oaks and stop in for a visit.